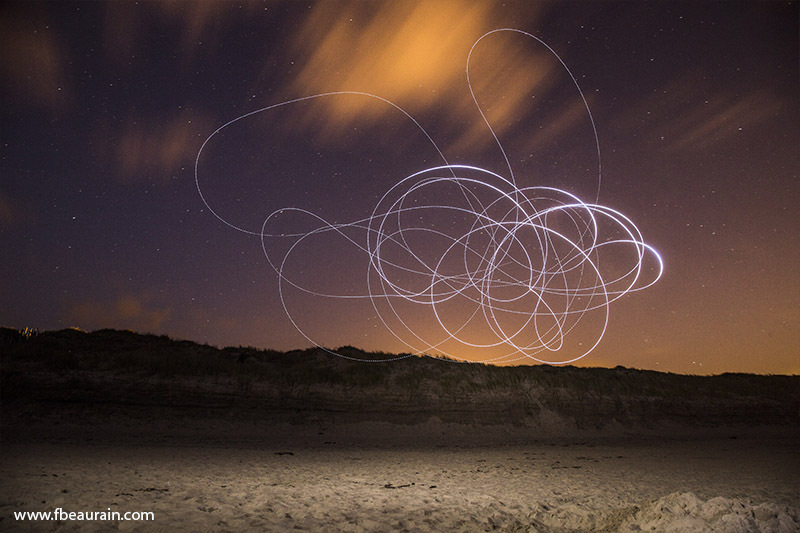 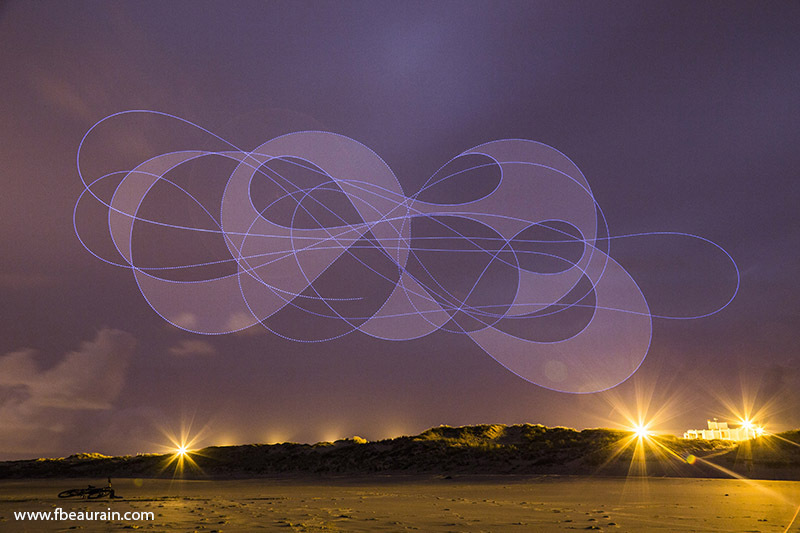 Sky painting is a collection of animated and light painting experiments with kites. 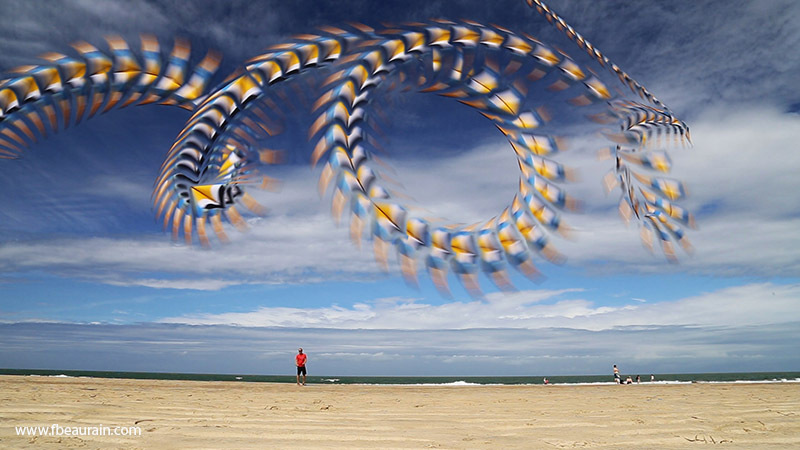 These images were shot during summer 2014 in Soulac-sur-Mer in southwest of France. 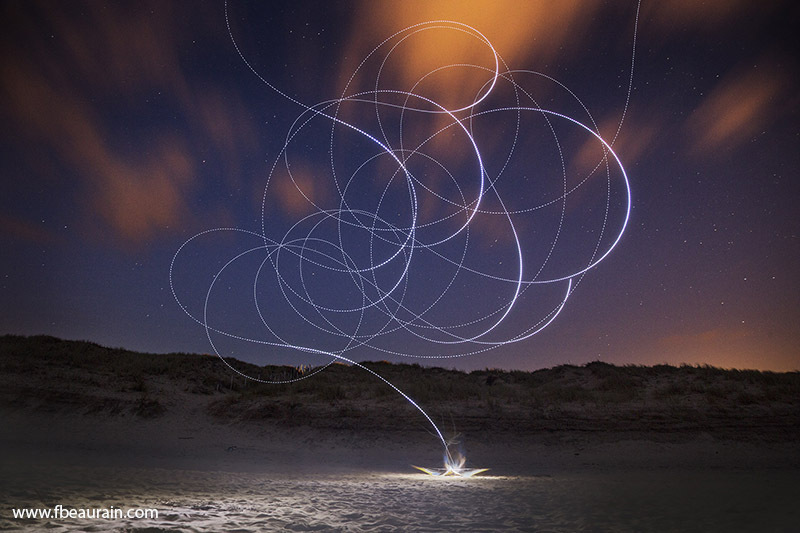 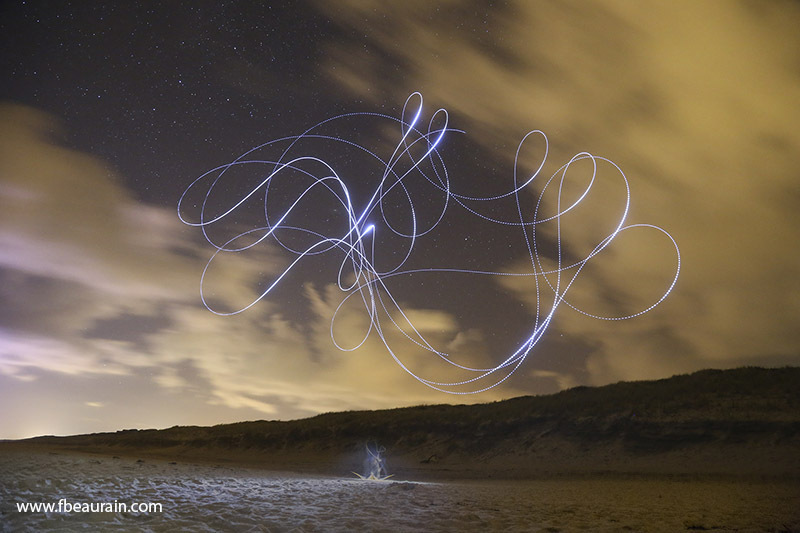 The light paintings were done at night with a LED lamp tight to the kite. 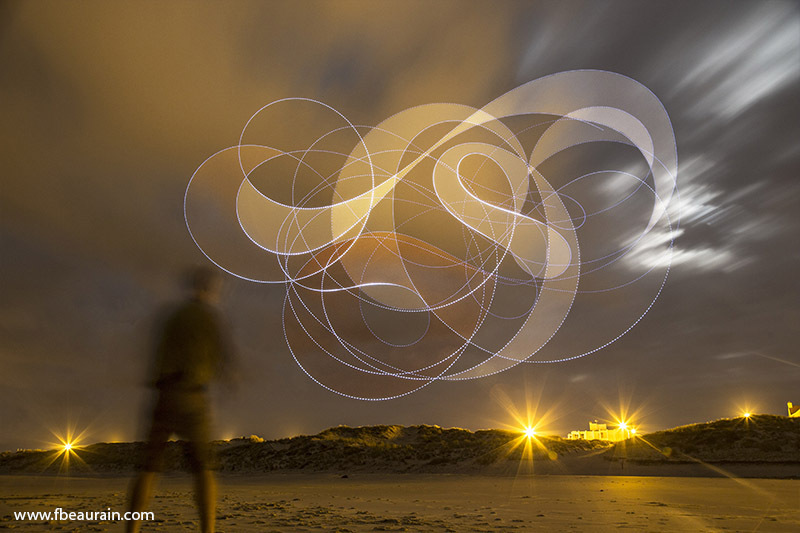 Thanks to Julien Ordan, Pierre Ordan and Arthur Debelle for their help.